you’ve placed in us by using our services, and we will not take that for granted. We don’t share your personal information with anyone except to comply with the law. We don’t store personal information on the computer or any server, except your emails, which we delete every 5 years, and invoices, which we are legally obliged to keep for book keeping purposes for 10 years. We do not collect any personalized data automatically (i.e. through cookies). We only collect data via contact form available on the website and emails you send us. We use the data you’ve sent us to prepare an offer for you. We sometimes use email marketing to communicate with customers and potential customers. All email lists and campaigns are “opt-in” meaning we will not send you these sorts of emails unless you indicated that you wish to receive them on our website. We do not disclose potentially personally-identifying and personally-identifying information to anyone except our service providers, such as drivers. This information isn’t stored in any way and it is only used for tour organization purposes. We may be required to disclose an individual’s personal information in response to a lawful request by public authorities to meet national security or law enforcement requirements. If we are ever to engage in any onward transfers of your data with third parties for a purpose other than which it was originally collected or subsequently authorized, we will provide you with an opt-out choice to limit the use and disclosure of your personal data. Typically the data will be your email address, name and surname. For paying customers, this will also include payment history. In case we organize accommodation for you, we might ask you for your date of birth and passport details for quick check-in. You can also request “to be forgotten” and we will erase any personally identifiable data we have about you. Of course, this excludes data we need for administrative or security purposes or if we are required by law to retain some of the data. 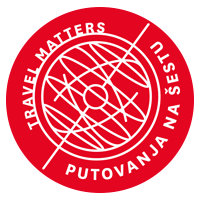 An individual who seeks access, or who seeks to correct, amend, or delete inaccurate data, should direct his/her query to info@travelmatters.hr. We will respond within a reasonable timeframe, not to exceed six days. Should any event occur where customer data has been lost, stolen, or potentially compromised, our policy is to alert the customers via email no later than 48 hours of becoming aware of the event. We will also report such incident to any required data protection authority. We will work closely with any customers affected to determine next steps such as any end-user notifications, needed patches, and how to avoid any similar event in the future. So-called “first-party cookies” are cookies served by the entity operating the domain through which the cookie is served. Our own cookies are therefore “first-party cookies.” In case we allow others to service cookies through our website, these cookies are so-called “third-party cookies.” In addition, there’s a difference between session cookies and permanent cookies. Session cookies only exist until you close your browser. Permanent cookies have a longer lifespan and aren’t automatically deleted when you close your browser. Dear guests, here you can read our booking terms & conditions. We recommend to read them before booking our services, and contact us in case you have any questions. To read, or print out the document, please click here.